Dr. H. W. Brands was born in Portland, Oregon, where he lived until he went to California for college. He attended Stanford University and studied history and mathematics. After graduating he became a traveling salesman, with a territory that spanned the West from the Pacific to Colorado. His wanderlust diminished after several trips across the Great Basin, and he turned to sales of a different sort, namely teaching. For nine years he taught mathematics and history in high school and community college. Meanwhile he resumed his formal education, earning graduate degrees in mathematics and history, concluding with a doctorate in history from the University of Texas at Austin. He worked as an oral historian at the University of Texas Law School for a year, then became a visiting professor of history at Vanderbilt University. In 1987 he joined the history faculty at Texas A&M University, where he taught for seventeen years. In 2005 he returned to the University of Texas, where he holds the Jack S. Blanton Sr. Chair in History. He has written twenty-five books, coauthored or edited five others, and published dozens of articles and scores of reviews. 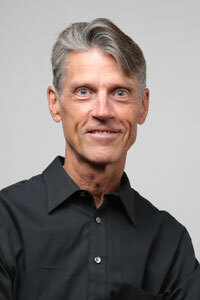 His articles have appeared in the New York Times, the Wall Street Journal, the Washington Post, the International Herald Tribune, the Boston Globe, the Atlantic Monthly, the Smithsonian, the National Interest, the American Historical Review, the Journal of American History, the Political Science Quarterly, American History, and many other newspapers, magazines and journals. His writings have received critical and popular acclaim. The First American and Traitor to His Class were finalists for the Pulitzer Prize and the Los Angeles Times Prize. Several of his books have been bestsellers. Brands is a member of various honorary societies, including the Society of American Historians and the Philosophical Society of Texas. He is a regular guest on national radio and television programs, and is frequently interviewed by the American and foreign press. His writings have been published in several countries and translated into German, French, Russian, Chinese, Japanese, and Korean. The course will cover all aspects of American history to the end of the Civil War. The basic themes of the course will be the emergence of an American identity, the evolution of American self-government, and the expansion of American territory. Revel online text, with online chapter exams. There will be fifteen chapter exams, taken online, worth a total of 40 percent of the semester grade. There will be two in-class essay tests, worth 15 percent together. There will be two take-home essays, worth 15 percent. There will be one book review, worth 10 percent. Class participation will be worth 20 percent. A = 90 to 100. B = 80 to 89. C = 70 to 79. D = 60 to 69. F = 0 to 59. The course covers American history from the end of the Civil War to the present. The basic themes are (1) the struggle to define the boundary between the public sector and the private sector in American life, or between democracy and capitalism; and (2) the striking fact that a nation that professes to love peace has so often gone to war. The course has two primary objectives: (1) to make students more familiar with the major events and developments of American history since the Civil War, and (2) to help students learn to think like historians: that is, to imagine how the world looked to people in the past, to try to understand why they did what they did, to formulate historical explanations and test them using historical evidence. or at the UT Co-op. - The Murder of Jim Fisk for the Love of Josie Mansfield, paperback book. At UT Co-op. - Four movies, to be assigned and placed on reserve. These online quizzes are in the Revel text. The deadline for each chapter is Friday at 6 pm. Extensions will be granted only for sudden documented illness or grave family emergency. Computer and network problems are not acceptable excuses. It is the responsibility of students to monitor their grades for the quizzes. The exams will add up to 40 percent of the semester grade. Two, on topics to be assigned. 20 percent total. Two, from prompts to be given. 15 percent total. On The Murder of Jim Fisk for the Love of Josie Mansfield. 15 percent total. For more than a century, the presidency has occupied the center of American politics. Yet the modern presidency bears faint resemblance to the institution the founders created in the 1780s. This course will examine the presidency and the individuals who have held it, with an eye toward discovering trends of historical and contemporary interest. Topics will include the presidency in the Constitution, the emergence of political parties, the role of the president as diplomat-in-chief, the presidency and the sectional crisis, the president at war, the emergence of the United States as a world power, the president as a celebrity, the family lives of presidents, and the president and the evolving media. An essential part of the course will be the attempt to understand what goes into presidential decisions. Successful presidents differ from unsuccessful presidents chiefly in their ability to make good decisions: to do the right thing. How does a president know what is the right thing? Whose interests and opinions does he weigh? How does he enact or enforce right decisions? Students will examine case studies of crucial presidential decisions. By close reading of primary historical documents – letters, diaries, speeches, government documents, newspaper accounts – students will reconstruct the presidential decision process. They will make the arguments for and against presidential decisions. They will explain and defend the decisions they would have made in the president’s place. 1. Revel online text, with online chapter exams. The goal of the workshop is to enhance the writing skills of the participants, who will (1) read and discuss the works of great authors of history and (2) develop their own writing projects. The weekly meetings will consist of discussions of the readings, and presentations by participants of their work. In the first two weeks, each student will devise a writing agenda for the semester, to be approved by the instructor. The finished product will be due on the last day of the class. Grades will be based on participation in the seminars and on the final products. The course will cover American history from the end of the Civil War to the present. The basic themes will be (1) the struggle to define the boundary between the public sector and the private sector in American life, or between democracy and capitalism; and (2) the striking fact that a nation that professes to love peace has so often gone to war. sudden documented illness or grave family emergency. Computer problems are not an acceptable excuse. may bring one note card (3 by 5 inches) to class with notes. 20 percent total. papers will be submitted in class on the due dates. Classroom Exercises: Periodically during the semester, students will be given writing exercises in class. approved excuse (documented illness, family emergency, etc.). 20 percent. Tests will be given only for approved absences. Grades: A = 90s; B = 80s; C = 70s; D = 60s; F = below 60. Straight letter grades only; no +/-. Required text: H. W. Brands et al., American Stories, 2nd ed., vol. 1, with My History Lab. There will be fifteen chapter exams, taken online, worth a total of 40 percent of the semester grade. There will be three in-class essay tests, worth 20 percent. There will be three take-home essays, worth 20 percent.There will be no comprehensive final exam. The course will cover all aspects of American history since the end of the Civil War. Topics will include industrialization, populism and progressivism, imperialism, World Wars I and II, the Great Depression and the New Deal, the Cold War, the civil rights movement, feminism, the gay rights movement, the Great Society, the Vietnam War, the Reagan Revolution, the end of the Cold War, the war on terror and the Great Recession. The 1960s were an eventful decade for America. The civil rights revolution, the Great Society, the counterculture, feminism, and the realignment of political parties transformed American life at home. The Cold War, the Vietnam War, the Six Day War in the Middle East, the Cultural Revolution in China, and student revolts in dozens of countries reshaped the landscape of American foreign affairs. Students in this course will study the decade in general and one topic in detail. While reading and discussing a common set of books, they will choose research topics that can be investigated at one or more of the archives on campus. Each student will produce an original paper of publishable quality. Tom Wolfe. Radical Chic & Mau-Mauing the Flak Catchers. 9780553380620. The goal of the workshop (reading seminar) is to enhance the writing skills of the participants, who will (1) read and discuss the works of great authors of history and (2) develop their own writing projects. This course fulfills part of the requirements for the Normandy Scholars Program as well as part of the American history requirement for the University. It explores American involvement in the Second World War. Among the topics covered are: American isolationism; the controversy over Pearl Harbor and American entry into the war; the rise of air power and strategic bombing; the conduct of war and diplomacy; everyday life and politics on the home front; the experience of battle; the use of the atomic bomb; the seeds of the Cold War; and conflicting visions of the postwar world. No course can be encyclopedic. This one will divide its time between events in Europe and the Pacific without trying to cover either theater in all its detail. Two events, one in each theater, will serve as case studies for in-depth analysis: 1) the D-Day invasion and the opening of the “Second Front” in Europe; and 2) the atomic bombs and the surrender of Japan in the Pacific. Class work consists of lectures and discussions of weekly reading assignments, lectures, and films. Discussions constitute 20 percent of the course grade. Five in-class quizzes based on lectures and readings make up another 20 percent of the grade. A research paper, done in three stages, serves as the written portion of the workload and is worth 50 percent of the course grade. Each student will also present his or her work orally. The oral presentation is worth 10 percent of the grade. Required text: H. W. Brands et al., American Stories, 1st ed., vol. 1, with My History Lab. Tests: There will be three tests, each worth one sixth of the semester grade and consisting of identifications and short essays. Each test will cover one third of the course material. There will be no comprehensive final exam. Papers: There will be three papers of 500 words each, and each worth one sixth of the semester grade. Each paper will analyze one of the assigned documents, placing it in historical context and assessing its argument or description. Grading: A = 90 to 100. B = 80 to 89. C = 70 to 79. D = 60 to 69. F = 0 to 59. No plus/minus. This course partially fulfills legislative requirement for American history. For more than a century, the presidency has occupied the center of American politics. Yet the modern presidency bears faint resemblance to the institution the Founders framed in the 1780s. This course will examine the presidency and the individuals who have held it, with an eye toward discovering trends of historical and contemporary interest. Topics will include the presidency as conceived by the framers of the Constitution, the emergence of political parties, the role of the president as diplomat-in-chief, the presidency and the sectional crisis, the president at war, the emergence of the United States as a world power, the president as a celebrity, the family lives of presidents, and the president and the evolving media. Students will write two book reviews (500 words each) and one research paper (5000 words). The reviews will cover books from the common reading list. The paper will examine one president in detail. The course will cover the history of American foreign relations from the early twentieth century to the present. It will focus on a single question: Why has America gone to war? The 1960s weren’t as big a deal at the time as they have often seemed afterward. But they were eventful nonetheless. The civil rights revolution, the Great Society, the counterculture, and the emergence of new media transformed American life at home. The Cold War, the Vietnam War, the Six Day War in the Middle East, the Cultural Revolution in China, and student revolts in dozens of countries reshaped the landscape of international affairs. Luckily for students at the University of Texas, there are few better places to study the 1960s than Austin. The LBJ Library, the Center for American History, and the Harry Ransom Center house documents and other materials that shed primary light on the decade and allow scholars to engage its issues as directly as historians ever can. Students in this class will become their own historians. After reading and discussing a common set of books, the students will choose research topics that can be investigated at one or more of the archives on campus. Each student’s research will culminate in an original paper of between 6,000 and 8,000 words, and of potentially publishable quality. Besides attuning students to the issues and events of the 1960s, the course will allow students to decide whether they like doing original historical research. For some students, the research project will lead naturally into a senior thesis; for some of these and perhaps for some others, it will inspire them to do graduate work in history. For all the students, the course will enable them to discover—through their own experience—how the past is recreated by and for the present. H. W. Brands writes about and teaches American history, broadly conceived. His books and articles cover topics from the eighteenth century to the twenty-first, and include works of narrative history, interpretive history, and biography. He examines politics and foreign policy, business and economics, society and culture. He is currently writing a general history of the United States during the Gilded Age. His classes include introductory surveys, upper-division lecture courses, and undergraduate and graduate seminars. His graduate students have written dissertations and theses on diverse aspects of American politics and foreign policy. His former students have taken jobs at research universities, at liberal arts and community colleges, in government and non-profit agencies, and in private business. A workshop for graduate students devoted to the craft of writing history in both nonfiction and fictional form. Students will read selections from some of the greatest writers of history (Herodotus, Plutarch, Gibbon, Carlyle, Parkman, Dickens, Tolstoy, Strachey, and many others), and will assess what makes for compelling historical writing. Students will meanwhile develop writing projects of their own. Some students will bring drafts to the workshop and polish these. Other students will commence drafts during the semester. All will present their works-in-progress to the seminar, with the ultimate goal of writing history in the most riveting manner possible. Tests: Three, worth 20 percent of the course grade each. Identifications and short essays. There will be no final exam. Papers: Two, 20 percent each. 1. A 750-word analysis of one of the documents assigned for the course. Identify the key points of the document, place it in historical context, assess its accuracy and importance. 2. A 750-word essay explaining either (a) how democracy and capitalism have cooperated and conflicted in American history since 1865, or (b) how and why America has gone to war and what it has accomplished in doing so. In either case cite specific examples to support general statements and evaluations. Academic accommodations: The University of Texas at Austin provides upon request appropriate academic accommodations for qualified students with disabilities. For more information contact the Office of the Dean of Students at 471-6259, 471-6441 TTY. This course contains a Cultural Diversity flag. This course contains a Writing and an Independent Inquiry flag. Summary: The course will cover all aspects of American history from the end of Reconstruction to the end of World War I. The basic themes of the course will be the ongoing contest between capitalism and democracy, and the emergence of the United States as a world power. Tests: There will be two tests, each worth one fifth of the semester grade and consisting of identifications and short essays. Each test will cover one half of the course material. There will be no comprehensive final exam. Papers: There will be two papers of 1000 words each, in which students will elaborate on a topic or theme from one of the assigned books. The papers will require additional research, and will include bibliographies. Each paper will be worth one fifth of the semester grade. Class participation: Attendance, preparation, and contribution to discussion are essential, and will count one fifth of the semester grade. Summary: The course will cover all aspects of American history to the end of the Civil War. The basic themes of the course will be the emergence of an American identity, the evolution of American self-government, and the expansion of American territory. Supplemental Instruction: This class will include Supplemental Instruction discussion sections (SI). These optional sessions, led by Rachel Hermann, will help reinforce and clarify course content. Regular participation in SI discussions has been shown to improve students' performance significantly. media transformed American life at home. directly as historians ever can. inspire them to do graduate work in history. Philip Caputo. A Rumor of War. Norman Mailer. Armies of the Night. Two book reviews (500 words each). Students at 471-6259, 471-6441 TTY.